Knowing how to write effective resumes and cover letters is a critical component of your job search. 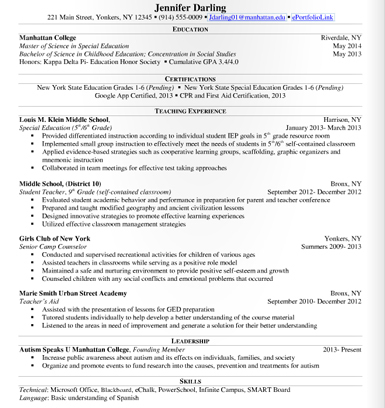 A resume is a summary of your experience, education, and skills. Resumes are used to screen applicants for interviews and determine which candidates have the background that most closely matches with the employer's requirements. Before you start writing, think about your experiences and accomplishments, both past and present. Consider work experience, internships, summer jobs, volunteer work, extracurricular activities, research work, course projects, and publications to identify what you have to offer employers. Assess what you have accomplished in each position and which skills you have developed. Tailor your resume by prioritizing this information so that it highlights the skills, accomplishments, and experiences most relevant to the industry and position. You may have more than one version of your resume if you are applying for different types of positions. When describing your experiences, engage your resume reader with vivid language that captures what you do and why you do it well. See this list of action verbs to increase the strength of your writing and make potential employers take notice. Your most current contact information should be included at the top of the résumé. It is important to provide accurate information so that a potential employer can easily reach you. Use your full name and (college and permanent) address with zip code, telephone number and email. Academic credentials are very important to an employer, particularly if you are relatively new to the world of work or if you are pursuing a job that requires specific training. Only list institutions you’re currently attending or those from which you have received a degree. In general, avoid listing your high school education. Write out institution name, city and state, full degree title and graduation date. A GPA of 3.0 or higher should be included in this section. List study abroad experience in this section. An employer will look over your résumé to see what experiences and skills you have gained so far and determine the relevancy to the current position. Do not limit yourself to paid experiences. It is very important for you to develop accomplishment statements that emphasize the skills you have developed, as well as any positive outcomes. Indicate the company name, city and state, dates of employment (month and year), and title of position held. Begin every bullet point with an action verb and be sure to use correct verb tense. Develop bulleted accomplishment statements using the formula below to highlight key responsibilities and skills. This part of the formula is basically your job description. If you write this as an accomplishment statement, you are not really describing what you accomplished. However, this is a starting point for your statement. This is the most important part of the formula. When you pair the skills you used along with what you did, you are communicating much more information to the reader. When you can describe the types of results you achieved through the skills you used, you will have written a comprehensive accomplishment statement, which will result in a better résumé. Computer skills are essential for success in today’s workplace. Depending on the desired position, the required computer skills may range from a basic knowledge of computer applications to programming abilities. Be specific with your skills and list all relevant software and your competency level with specific programs. You may select from the following optional components to add to your résumé. Select the areas in which you are the strongest and that help sell your skills and abilities to a particular employer. Honors: Employers are always impressed by accomplishments in the form of honors and awards. Do not list dates, as they tend to appear cluttered. Be sure to list academic honors from the College or any outside organization, scholarships and honor societies. Activities and Leadership Experience: Companies often review résumés to determine how a candidate has spent time outside of the classroom or professional arena. Do not list dates, and if you have significant experience in this area, use the same format as in the bulleted experience section. Be sure to list activities in which you are/were involved either at college or at any outside organizations (volunteer, community services, etc. ), and any offices held (board member, treasurer, president). Languages: In the global marketplace, many companies are looking to hire students and professionals who are fluent in two or more languages. (Do not list English — this is assumed.) Be specific when listing the competency you have in a language. Are you fluent, proficient or do you have a working knowledge? Relevant Courses: If you have little experience in a chosen career field, list any relevant coursework that indicates education in the desired area. Also, students who are just beginning their college career find it useful to list relevant experience when trying to gain an internship. Select upper-level courses in a specialized area that set you apart from other applicants. Licensure/Certification: If you currently hold a license relevant to your field, it is important for an employer to see this. Accountants, financial planners and teachers are some positions that require licensing. Professional Affiliation: Employers like to see how involved you are in your chosen field through professional affiliations. Professional affiliations are an excellent way to network and learn about job opportunities before they are publicly posted. View our library of resume and cover letter examples that show examples of different ways you can write your resume and cover letters. Cover letters are sent out with your résumé, and they should complement, not duplicate, your résumé. A good cover letter will add a personal touch to your résumé and give you the opportunity to add any additional information you would like to share (e.g., start-date availability) or respond to any information requested in the job posting (e.g., salary requirement). Each cover letter you send out should be tailored to the specific job to which you are applying. Don’t create a form cover letter that you send out for every job application. Your cover letter should give the reasons for your interest in the position, why you are qualified for that position and any specific knowledge you have about it.